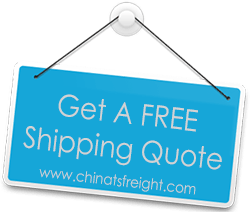 We at the TS freight shipping services offer our valued clients with excellent and complete warehousing, consolidation and distribution services in China. We provide services to the people of all sea ports as well as airports. We have an integrated supply chain of the services that works as an alternative to choose from. We really work hard, so as to get enabled and provide agile, reliable and competent services to our clients living in China as well as outside. We are of the belief that the success of the supply of the cargo depends upon the efficiency and promptness of the services provided by us. An approach to satisfying our business clients that satisfy all their needs and removes all the wastage in terms of time and money by providing services from expert and professional staff members. The best solution for the satisfaction of your logistics and transportation needs, whether it is freight, shipping, warehousing or distribution service. No scope for occurrence of any interpersonal conflict, as all the services are offered under one roof. We also provide a better medium for communication, as there is one a single individual with whom you can contact. Our warehousing services are basically aimed upon optimizing total costs that help in getting better deals for warehousing and distribution. 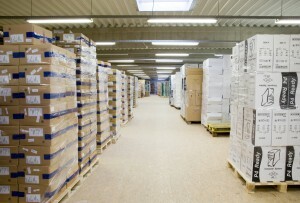 The TS is offering the excellent warehousing services in China along with its different cities. Our services are very reliable and are of good quality. Also, they are provided at very competitive rates. This is the reason for which our services are highly recommended. We offer a complete package of services that is picking up of cargo consolidating the goods in the shipment along with the facilitation of storage in the warehouse. You can avail our services for shipment of goods or cargo anywhere in the world by sea, air or express. Moreover, you will also get an invoice for rendering the services from us. However, you can acquire our diligent warehousing services on short term contract basis or for public warehousing as well. We promise our customers availing our services of being in touch with them, so as to keep the record the status of the delivery of his/ her goods. We keep our clients updated at the transit time, so as to keep them well informed about everything. We take the overall responsibility of loading and unloading of the cargo, so as to eliminate the delays in the delivery. The TS freight is a warehousing and distribution company in China offering excellent logistics and express services to its clients. So, avail our reliable and affordable services by just sending a mail or calling us anytime.